What made you want to study Grand Diplôme? I started my Grand Diplôme in Sydney and finished it in Paris. The two schools differed greatly and, to some degree, I think this contributed to how much I learnt, both professionally and personally. I graduated with my Grand Diplôme, with a distinction, in 2011. It was really the whole experience: living in Paris is absolutely amazing. 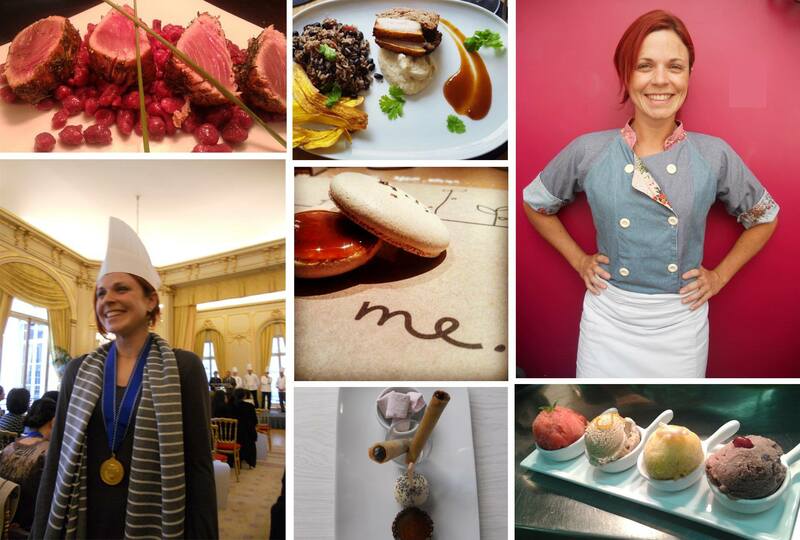 In addition, I worked in the cuisine field and my whole world revolved around all things culinary. I left the school with great professional confidence and friends for life. I am an architecture graduate, but have loved cuisine ever since I was a child. One day, I decided it was time to take my passion more seriously and found an apprenticeship in one of the city’s best restaurants, Le Zea Maïs, in Curitiba (Paraná) with the chef Joy Perine. From that moment, I realized that cuisine was what I wanted to do for a living. At that point in time, the restaurant offered me a permanent job, but I knew that my technical skills were not up to scratch. A few months later, I decided to go to Sydney and began studying at Le Cordon Bleu. Having finished the basic cuisine certificate in Australia, I decided to move to France to further my knowledge of French cuisine. I believe that all that, plus the fact that I worked part-time in both countries, meant that I had excel-lent training. I was able to further strengthen the skills learnt at the school in everyday life and that was extremely enriching. Sometimes, this has also enabled me to break through cultural or language barriers as French cuisine constitutes the foundations of world cuisine. When are you doing now? How did it start? When I returned to Brazil, I set up home in Rio de Janeiro and started working immediately. Initially, I had a partnership with a large caterer, before returning to the restaurant industry. With my Diploma and experience, I was hired as “sous-chef” in a French restaurant. After a year, I moved on, and began working with Roberta Ciasca in her new restaurant, Mira, in the role of café manager. I was then promoted to the role of “sous-chef” at OuiOui, and am now cuisine chef and am also responsible for creating the dessert menu for Miam Miam, Roberta’s main restaurant. OuiOui and Miam Miam were awarded the Michelin BIB for the past two years running. I would advise them to be very conscientious in their studies, to eat, read and try new flavours, colours and textures. They must be aware of the provenance of the foods they are using. And, if they have time, to travel! Could you describe your new life in Brazil? I can’t say that things are always rosy, but I make a great deal of effort to replicate everything that I loved in Paris, here in Rio. I try, therefore, to divide my time between cuisine, culture and the great outdoors. These are the things that enrich my life the most. I recently set up an artisan pastry shop with 2 friends, which is called me confeitaria artesanal. We make my favourite French pastries, which are macaroons, madeleines and marshmallows. We aim to use no colourings, flavourings and preservatives, or as small amount as possible, and try to follow a fair trade concept. I am also waiting, just like other cariocas, for Le Cordon Bleu to open in Rio!